The College Football Playoff is almost here, with Washington vs Alabama and Ohio State vs Clemson on Saturday. 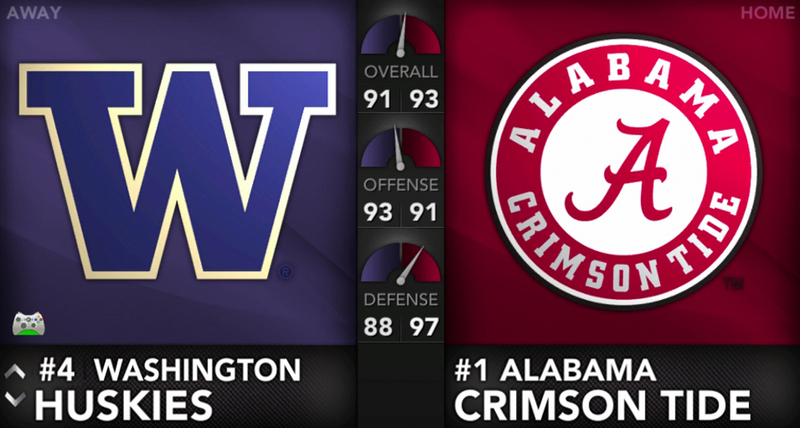 NCAA Football 14 was perfect on its Conference Championship predictions early this month and now it returns to give its picks for the CFP semifinals. Somewhat surprisingly, the game likes the two underdogs to advance, with Washington prevailing in OT and Clemson cruising despite Deshaun Watson being knocked out of the game due to injury. Check out the full results of the simulations over at Sporting News!